Between gin, snacks and salmon, it’s kind of hard to know which of those favorite topics I touch on more often here. But with the traditional mid May launch of Copper River salmon season just passed, it’s little surprise salmon is on top of mind right now. It’s something like the swallows back to Capistrano, an event that signifies the general launch of key commercial salmon fishing season throughout the region. This was part of the story of Northwest summertime seafood that I wrote about for the May issue of Alaska Airlines Magazine (which you can catch here, jump to page 140). And a sub-plot of the local salmon story is that of the marbled salmon that show up on occasion, primarily in Washington fisheries. Each May I’m lucky enough to attend a lunch for the trade that highlights this distinct product that some find off-putting (no reason at all, it’s incredibly delicious!). So, once that first Copper River salmon lands on the tarmac at Sea-Tac airport to great fanfare, we know we’re in for a lush run of amazing wild salmon for the next few months. Time to celebrate and make the most of that delicious seasonal treat. Which is why I’ve launched today a countdown special on my Salmon ebook from my The Northwest Cookbooks series. Available for a mere $.99 today, the price will work its way back up to the full price (a whopping $3.50) by Tuesday morning (PDT). 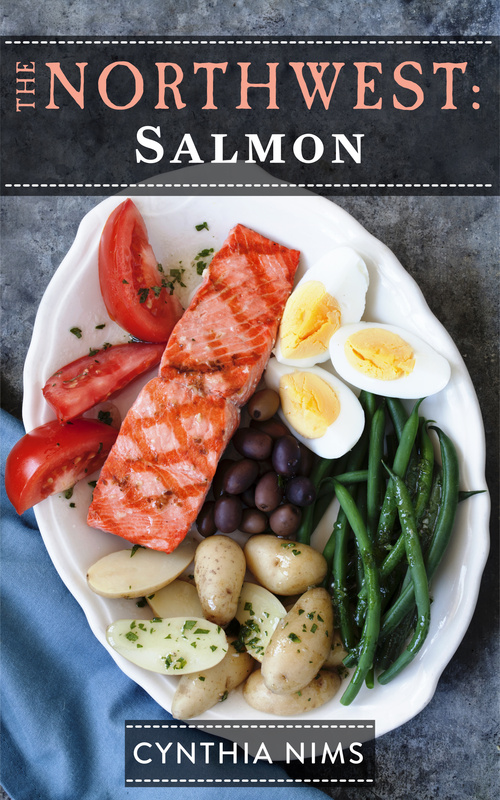 It’s packed with information about wild salmon (seasons, species, sustainability, care and use in the kitchen), along with regional salmon festival information, listing of some top seafood markets and 10 recipes to help you make the most of the exquisite fish.